Jason McCann is a certified Art Teacher for K-12 and has taught in the Pulaski County and Little Rock School Districts since 2001. He has been teaching small group lessons since the summer of 1998, catering to students from ages five through adult. 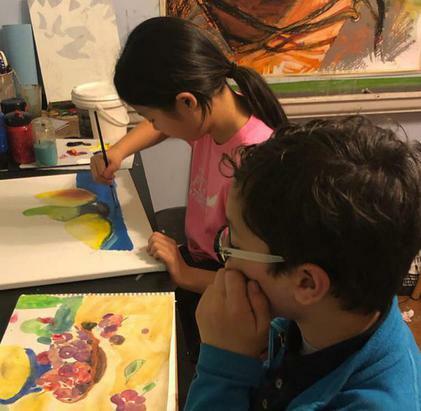 The Elementary Class at McCann Fine Art Studios is different than many classes aimed at grade school students. The curriculum focuses on students understanding the elements and principles of art and design in a practical manner. Students will concentrate much of their time on observational drawing while they are taught to develop sound compositions. Students will gain experience in working with Graphite, Charcoal, and Pastel, as well as Tempera, Acrylic, and Oil paints. There are also games and activities that will teach art history and appreciation. The Adult and Young Adult class is geared toward older students and working adults who would like to expand their understanding of a variety of artistic media. Students decide the subject and medium they will work with while they are guided through the process of creating an artwork possessing sound technique and composition. Students have the opportunity to work with Graphite, Charcoal, Pastel, Acrylic, Oil, Watercolor, and more. McCann Fine Art Studios is home to a variety of art class opportunities.